Cindy Adams has had a hand in many industries, from nuclear power to restaurants. With years of experience in sales and marketing, Adams brought her business background into the nonprofit sector as the president and CEO of Aloha United Way. Though each industry she’s worked in is very different, Adams has found a common thread through all of them. In 2017, United Way released the ALICE report, which focuses on households who are living paycheck to paycheck and at-risk of falling into poverty. According to the report, over 37 percent of Hawaii households were found to be ALICE: asset limited, income constrained, and employed. Along with 11 percent of households living under the federal poverty line, a total of 48 percent of families in Hawaii are ALICE and below. Along with the ALICE report, Adams is leading Aloha United Way in its shift to a more hands-on approach with its community grants. Previously, organizations receiving its three-year grants would be asked to send in data every six months. Now, Aloha United Way will be convening group meetings with the 10 ALICE grant organizations every quarter so that they can share their findings and learn from each other. 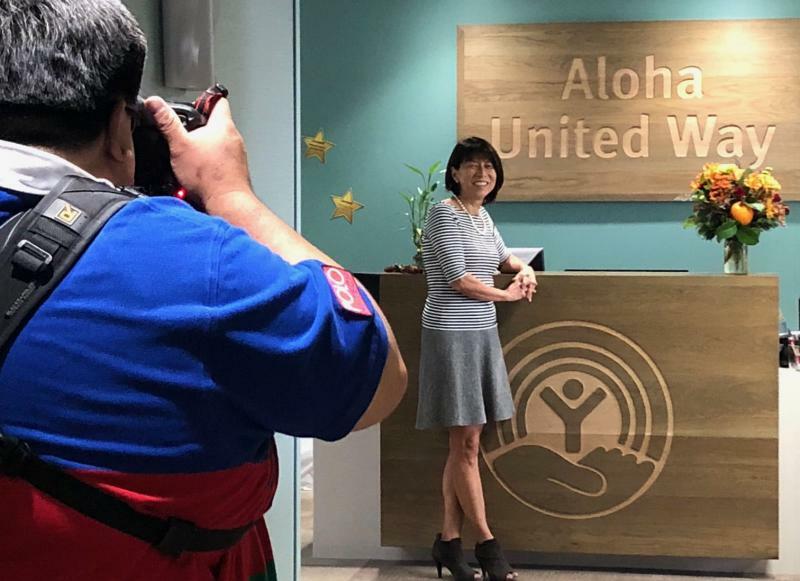 Aloha United Way’s goal for the 2019 fiscal year is to invest $14 million into the community. What is a major goal AUW is working toward? We are transitioning to what we call a “collective impact” model. Collective impact is a framework which includes things like a shared definition of a problem, a shared vision for how the problem is addressed, and a transparency with data and metrics. Previously, we granted money through three-year community impact grants through three areas, which were education, poverty prevention and safety nets. We realized we could have an even greater impact if we took a systems approach to our persistent social issues, so the process we’ve been going through now is to have a better understanding of the systems level issues in the community. My least favorite thing to do is be patient — whether it's waiting for something to be processed, waiting for somebody to respond to a question, or work projects, it's everything. The way that I deal with that is try and keep my eye on the endgame. That allows me to slow down and think about whether or not I need to shift something. 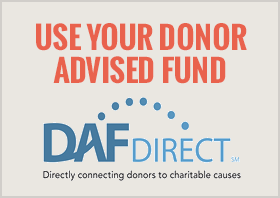 One book that had a significant impact on me in the nonprofit sector was “Do More Than Give: The Six Practices of Donors Who Change the World.” This is what really developed my passion for leveraging what I learned from the business sector to the nonprofit sector. It talks about not just writing a check, collecting a report and evaluating somebody's program; it's about understanding the problem well enough that you are investing affecting advocacy and policy in that space, leveraging your own personal network to get others involved in supporting the cause. What is one lesson you’ve learned as a leader? So much of our work is working with other people, like nonprofits, government agencies, donors and leaders in the community. Usually, that person doesn’t work for us, so the challenge is always how to engage people in a way that is effective and collaborative when there are differences in personalities and perspectives. Like giving better customer service; everybody has customers, it doesn’t matter where you work or what you do. So, I think about influencing people to help them understand that if they deliver better customer service it would make their jobs easier. When you get people to see they benefit from a change in behavior, you can influence them to make a shift. It’s not an easy thing to do, and it always has to be genuine. As we move along with our own transition path, think about how to demonstrate that this is good for everybody, especially since the end game is to make the community and quality of life better in Hawaii.